I agree....though I wonder why they accepted the commission in the first place. Cost thousands, but at least they won. I don't think anyone should do anything if it's against their beliefs. Presumably y'all would be ok with refusing to make a cake showing a mixed race couple if it went against some caveman's precious 'beliefs'. I admit that asking for a cake with the message 'support...' anything is clearly politically motivated, but the message of the result still sets a bad precedent. Les wrote: Presumably y'all would be ok with refusing to make a cake showing a mixed race couple if it went against some caveman's precious 'beliefs'. Yes, I think that is the case. The people who back the baker's rights here, are making a case for the right to personal belief, regardless of popular causes. It won't work in the US because we attach business decisions to commerce, and govern it through the Interstate Commerce Clause (ICC) of the Constitution. But in the UK, where they have no ICC or a Constitution, it is seen as an infringement on the individual's right to his/her beliefs, no matter where it leads. Didn't a similar case like this happen in the US not long ago? And with a similar result? Yes, it did. But, ahah...here is the trick. The bakers in the US used another part of the Constitution to combat the part that justified the restriction on the commercial activity. They used the First Amendment freedom of Religion, to combat the Commerce Clause restriction limiting discrimination. They said homosexuality was contrary to their religious convictions, so it amounted to a draw. You guys don't have a written Constitution, with it's Article Six supremacy clause to trump ordinary legislation, so y'all are basically free-wheeling it in the UK. Eilzel wrote: Presumably y'all would be ok with refusing to make a cake showing a mixed race couple if it went against some caveman's precious 'beliefs'. Does not set a bad precedent but one that sets a liberal precedent, true to a democratic society. I support the right of people not forced to make something they do not agree with. Hence I doubt you would not mind if a gay couple refused to make a cake, saying "ban gay marriage" or some homophobic slur by a religious couple, would you? Or do you believe they should be forced? Whilst I agree with gay marriage, this is not about gay marriage. Its about the right of people to refuse to promote a belief they disagree with. So nobody is a hypocrite here. You may disagree and even condemn a couple for refusing to make a cake supporting gay marriage. Though they should have every right to do so. What you are trying to do is force your beliefs onto theirs. So what you are saying is, IF a racist baker didn't want to bake a cake because it goes against their beliefs, you would be ok with that? See how badly you want to make play on words? I asked you questions and you avoided them, because you know you would back the right of a gay couple to refuse to make a cake saying "ban gay marriage"
If the message on the cake went against their racist beliefs, that is their right to refuse. My personal feeling is that if you run a business you should serve your customers what they ask for. If you are a Manchester United fan, you should have to make a cake with the Man City badge if that is requested. If you are of one religion and someone of another religion asks you to bake a cake bearing marks of another religion, you should have to do it. And yes, if, in some bizarre situation someone actually wanted a cake saying 'Ban Gay Marriage' then the baker should make it regardless of their views. The thing is, I can say this with minimal risk. A cake for a gay wedding is 1,000,000 times more likely to be requested my ordinary people than some weird 'ban gay marriage cake'. Why? Because most people just want normal cakes. And no one just asking for a cake for their gay wedding should be refused because of the owner's backward views. So to answer your question directly, if someone asks for a cake saying 'ban gay marriage' then imo YES they should make it. Of course, we both know that no such cake would ever because requested because, really, wtf. You can count of the Dumb to be Absolute Scum and ruin Society for everyone. For you to turn round and say a couple couple should have to make a cake that says "Ban Gay marriage" or a homophobic slur, shows you have lost your sense here, because you certainly do not speak for the entire gay community and nor can you or should you decide for them. As its crossing the line of equality. Gay rights means, having the same rights, not more rights than anyone else. I think this decision is right. I said at the time that they didn't refuse to serve someone because they are gay, they just refused to make a cake with that message on it. At not point did I say I represent any community here, a shame you can't separate people from their 'communities' as easily as I can. There is disagreement on this among gay people as there is among everyone else. Fact is though if you support discriminating against people based on beliefs then you are ultimately saying every anti-discrimination measure of the last 60 years was breaching someone's rights. You are trying to make it all about gay people with the line 'more rights'. No one is talking about having more rights, but the same. So if you do not represent them, then its none of your buisness then. I could care less if there is a disagreement within the gay community and they need to get off their high horse those trying to force their agenda. Your next point on discrimination is again a poor play on words. Again a person cannot be discriminated against based on their beliefs or who they are, but a person should not be forced to promote beliefs they disagree with within their beliefs. Its the belief being promoted that is objected to, not a cake being made for a gay couple. If it was the later, then the bakery would be discriminating. Just as the gay couple would be discriminating against the religious couple by trying to force them to promote a belief on a cake they disagree with. To me this was a couple of militant gays, trying to make a stash of money. It's as much my business as it is yours, so what tf you on about? I don't see why Les should be speaking for all gay people, or why it's not his business if he's not. It's not clear to me if the owners would have refused to make a cake for a gay wedding, or if it was just the message on that particular cake they objected to. So its naff all to do with you and that couple has to have their rights protected as much as yours. Raggamuffin wrote: I don't see why Les should be speaking for all gay people, or why it's not his business if he's not. That's my main concern tbh, and this ruling does not make it clear which way that would go. It has naff all to with you either tbh. There. You see how pointless that line is? I do think it's a difficult one Les and, unlike you, I wouldn't expect a gay baker who supported gay marriage to decorate a cake with a message saying "ban gay marriage". All this equality re services is all very well, but it doesn't take into account people's personal feelings. Erm, as mentioned we have no idea if this also extends to Christian bakers not wanting to bake wedding cakes for gay people - so my concern is for those people. But that extreme scenario would almost certainly never happen (and even IF it did it would extremely exceptional). Yes, it's unlikely but it could happen. A wedding cake doesn't necessarily have to have a message on it, it could just have roses or something. What we don't know is if the bakers would have objected to making such a cake just because it would be a for a gay wedding. Your concern is as seen to trump the rights of other people based on their beliefs. Everyone should have equality under the law, but not at the expense of others. I mean if a Muslim baker did not want to bake a cake saying " I love Israel or Zionism" Then they have every right to refuse. As it could very well go against their beliefs. To be honest I think most of these cases have been engineered by Militant gays, as they can obtain wedding cakes in many stores. It seems they deliberately target certain bakeries to engineer these cases. How many gay weddings have there been? How many have had wedding cakes made? Exactly, we don't know. In this particular case, the individuals who tried to get that cake made are honestly not really people I'd sympathise with, as they clearly did have an agenda and knew they'd get publicity. However, the point they raise is what interests me. I feel some cake shops might bake a standard cake for a gay couple (it should absolutely be against the law to refuse to bake a cake for a gay couple at all). But I'd be much more opposed to this ruling IF it included allowing the refusal of a wedding cake that clearly was for a gay marriage (i.e. it had two men on top, or congratulations Peter and James ). I think the kind of messages being talked about in the OP are silly, and overall if it were only about them I'd have less issue, but the implication could be broader. If the baker refused to make the cake because he is against homosexuality he is wrong and no one should support that. But why should he pipe words on a cake that go against his religious teachings? If an atheist wanted a cake made with the words GOD DOESNT EXIST for eg....should he be in the wrong for refusing to do that? Personally I dont think you should be in business if you cant cater for everyone, but then I dont hold strong religious views to hamper my thinking. I've just had a conversation with a gay couple who run a pub , they wouldn't force anyone to bake them a cake especially Christians as they know it is against what they believe . Great guys , can't fault them and they never mention they are gay they are just a loving couple who run a pub and happen to be great friends of me and my hubby . They have supported our business for years that's how we met . By making a cake for an individual/s no one is promoting anything. 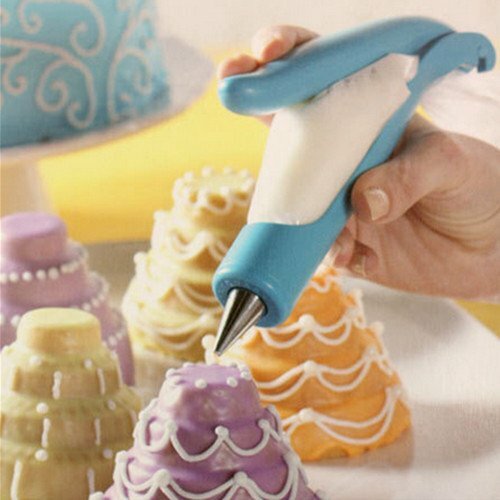 I think people place too much importance on what cake making actually means. It isn't making a statement, it isn't endorsing anything, it isn't celebrating a cause. It is making a food item and decorating it for the pleasure of someone else in return for, usually, a good amount of money. Any ruling that allows cake makers to discriminate in this practice, in any way, is, in my opinion, wrong. I think a Christian couple who run a bakery will have the word of God somewhere on display in their shop and I reckon this was an attempt to force the Christian couple to go against what they believe the bible says just so homosexuality could be forced upon them. There must be hundreds of bakeries in Ireland without targeting a Christian bakery . could be wrong but i think that was the crux of the argument les. they didn't want to get involved in political issues. they may well have been happy to put the names of the people ordering the cake, or a picture of them or whatever else they wanted but not political messages. It 's not just icing to the baker though, it was the words he was expected to write which his religious teachings oppose. Maybe the couple should have asked for little pink flowers or something, no one could have objected to that surely. Syl wrote: It 's not just icing to the baker though, it was the words he was expected to write which his religious teachings oppose. It's a job and they are words. He wasn't expected to live by them, or do anything at all. Mix the icing and squeeze it onto a cake. I don't think it will turn anyone gay to decorate a cake. In this case, I think the baker is trying to impose his values on someone else. Imagine if there were an emergency and he went to the hospital, and a gay physician said: "Eww...I can't touch him, I might turn straight!" Words are powerful, whether they are written in icing or ink. I dont think it was the baker who was trying to impose his values on others, seems to me it was the other way round. The gay couple could have gone to numerous bakers, ones who would be willing to write whatever they wanted on the cake, which I am sure 99% would have been happy to do so. Its quite irritating to me when people think human rights only apply to them. I would not be ok with em refusing to make a cake showing a mixed race couple, HOWEVER I WOULD agree with them refusing to make a cake saying support BLM. Syl wrote: Its quite irritating to me when people think human rights only apply to them. No one is thinking that. Not the people in the OP. Not the couple who refused to make the cake. Not gay people in general, nor Christians. Not Quill. Not me. No one. There is a disagreement on what should be expected of people who serve the public, that's all. What if they said that mixed race couples are something that is strongly against what they believe is right? No one is thinking that. Not the people in the OP. Not the couple who refused to make the cake. Not gay people in general, nor Christians. Not Quill. Not me. No one. There is a disagreement on what should be expect of people who serve the public, that's all. It's a family owned bakers, imo they have the right to not write something on a cake they vehemently dont believe in. If it was an employee and the cake was commisioned to be made they should do the job or leave. I still dont understand why they took the job in the first place though....were the offending (to the baker) words added as an afterthought. And what if using your example it was a cake promoting a Palestinian Arab marrying a Israeli Jew and the owner was either Israeli or Arab and refused? Now I would certainly object to either shop refusing such a mixed marriage cake, but do they still not have a right to refuse to make such a cake? Are you going to force them to do so, with such animosity between both sides? Your Business, you decide what you want to do ! Syl wrote: Words are powerful, whether they are written in icing or ink. Words are only powerful when they plug into reality. If you say the sky is a beautiful blue, it different from saying the house you are in is on fire. Icing on a cake is a harmless description, not words of action. Syl wrote: I dont think it was the baker who was trying to impose his values on others, seems to me it was the other way round. In analyzing the morality of any act, you have to begin with the act itself: the baker's refusal. That act is the imposition. Had he not refused, there would be no moral dilemma at all. And, shifting the blame to the bible is just evading the question, why? It's a kind of impotence in the presence of God. In other words, God made me do this evil thing. It's interesting that you shift to an argument of available alternatives as a prop for justifying moral action ("could have gone to numerous bakers"). The availability of alternatives is a consequentialist argument, when in fact there is no justification for the refusal in the first place. Well the Supreme court found there was justification Quill. That's because, with all due respect, as a society we still entertain beliefs in an invisible supreme being as a viable reason for allowing backward views and actions (e.g. the burkha, ritual slaughter, circumcision and yes, opposing gay marriage).